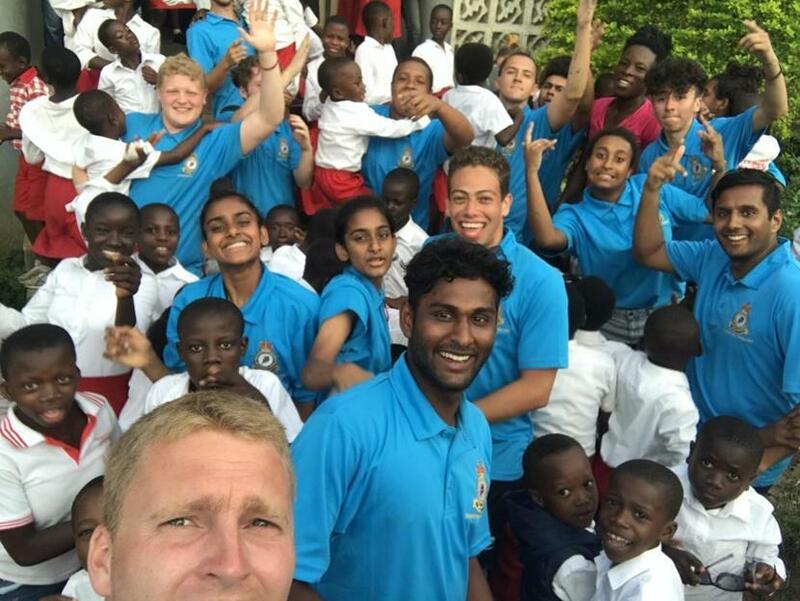 In 2017, 282 (East Ham) Squadron embarked on an adventure to help some very special young lives; those of children who resided in an orphanage in the hills of Ghana. The success of this expedition was huge and the cadets made a positive impact to many lives across the Akuapem Hills. The initial idea was developed by one of the squadron officers, Flying Officer Billy Moore, following a few overseas expeditions to India which were operated by the Officer Commanding 282 squadron, Flight Lieutenant Chris Booty. He wished to make an impact on his cadets and a vision of a similar expedition came to light, one like he had many years ago that had a huge impact on him as a young adult. The Squadron received a huge interest from its cadets. With over 80 cadets attending at East Ham, selection was hard. Interviews and a selection day sifted through the candidates. 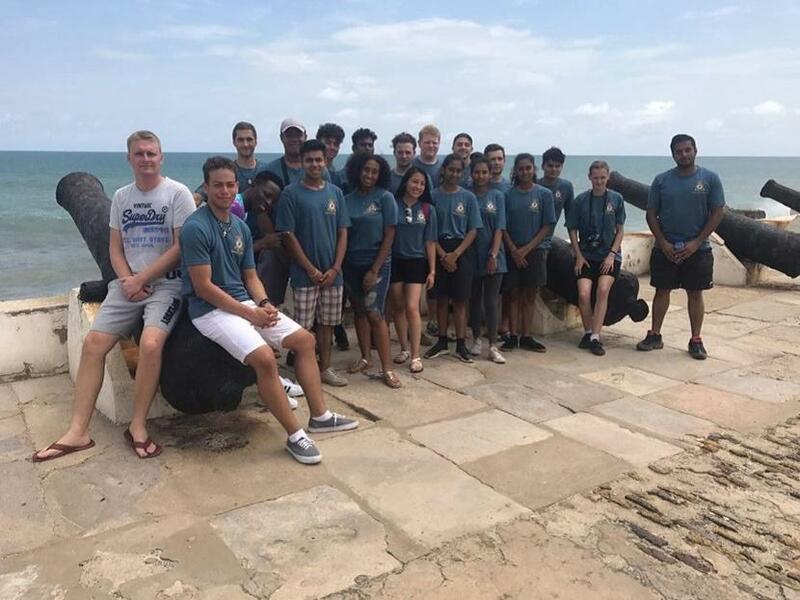 Cadets and staff attended a mixture of training days and weekends to cover areas such as community work, fitness, medical arrangements, and teamwork. 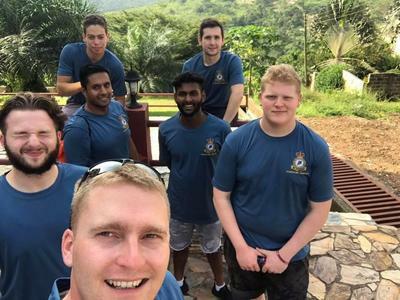 After months of hard work and fundraising, twelve cadets and seven leaders travelled to Akuapem Hills, Ghana in July to carry out two week’s volunteering work. 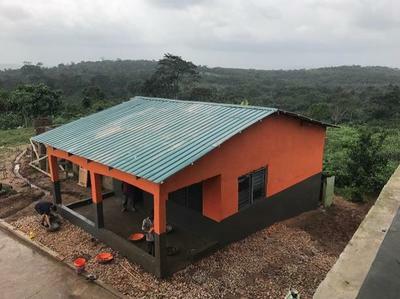 The cadets worked at the Trinity Home in the Akuapem Hills, 1 hour from the capital city of Accra. Through donations, the Trinity Home began work on constructing a library for the local children a number of years ago that would also act as a safe place for the children to learn and study, as well as to provide a safe and dry centre for them to socialise and learn through the many rain showers that pass overhead. It’s safe to say that this became very apparent when the group began working! Sadly though, the donations ran out and construction ceased, leaving behind just the bare outside walls of where the library would be. After Projects Abroad heard of this, we took it in our stride to send some volunteers to help finish this project. This is when Flight Lieutenant Chris Booty and the 282 (East Ham) Squadron of the Royal Air Force Cadets stepped in. During the first week the volunteers made traditional mud building blocks, laid bricks and plastered during the day, followed by games and activities with the children in the evening. In the second week the floors were screeded, paintings and murals were created and desks and bookshelves were crafted. This was of course followed with more games and activities with the children in the afternoons and evenings when everyone was resting, or when the weather took a turn for the worst! 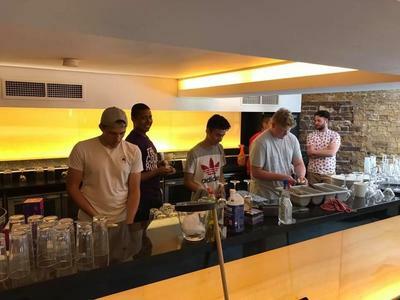 Aside from working at the school, the group also got to spend their time doing varied activities in the surrounding area. 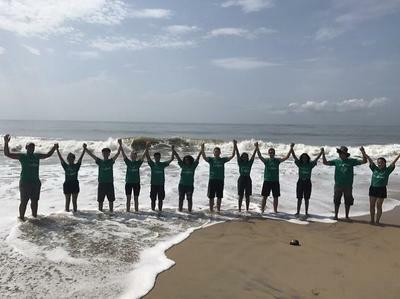 These included visiting the Aburi Botanical Garden, having drumming lessons, Ghanaian cooking lessons and having breakfast at Castle Restaurant followed by a visit to Cape Coast Castle. 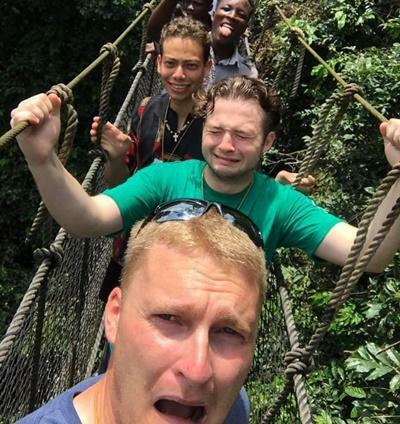 The group were also able to explore various sites of incredible natural beauty and wildlife such as the Kakum National Park and the Shai Hills Forest Reserve. In order for the project to take place, the Cadets and leaders had to fundraise through many creative ideas. The majority of the funds were donated by means of grants. The cadets were grateful for the support of The Jack Petchey Foundation, Lord Stuart Rose, The RAF Charitable and Singleton Trust, and Kingsford Community School. 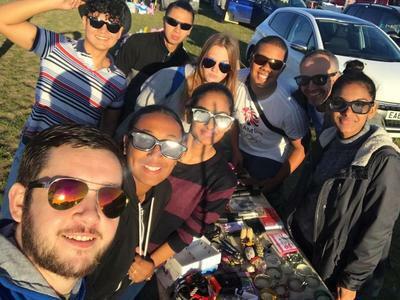 Fundraising included taking part in the Sponsored Prudential Ride London bike ride, community bag packs, assisting the community with car boot sales, school fetes, Krispy Kreme sales and cleaning event spaces. It was tight, but all money was raised two weeks before the expedition took place. Everyone met their target and all helped each other get there. It was a fantastic team effort. 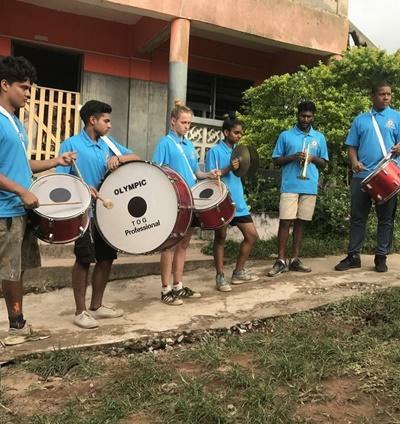 The team raised an extra £600 which was used to increase the project budget and treat the local children to ‘goodies’ and more books for their new library. 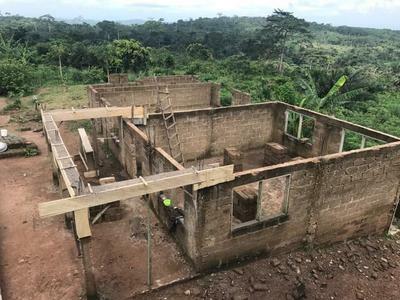 If you would like to learn more about Building & Community in Ghana then please click here. Alternatively, if you would like to learn more about our other Building projects then please click here.